Kivin Varghese sued Amazon for wrongful termination in 2012 after working for the company for seven months. Although he won part of his case in July 2013 — Amazon waived enforcement of an 18-month non-compete obligation and granted him all rights to a patent application he’d filed — the trial for the second part of the suit is scheduled for March 2015. An Amazon spokesperson says Varghese’s case has never been about treatment of other employees, customers or the environment and that he is raising new issues in an effort to get media attention. 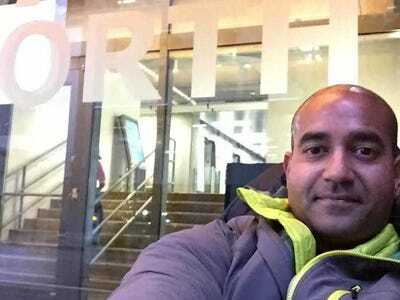 Varghese tells Business Insider that he has decided to escalate to a hunger strike after being moved by the response he’s gotten from other Amazon employees. Varghese is the only one protesting outside Amazon’s headquarters but a petition he wrote has recieved 414 signatures (with a goal of 20,000).